Rite Rate is an affordable plumbing, heating, and air conditioning company in Cranford, NJ. We have highly trained technicians and plumbers available 24/7 for immediate assistance. We take pride in providing residential and commercial plumbing, air conditioning, and heating repair in Cranford, NJ. At Rite Rate we offer comprehensive services that include repairs, replacements, maintenance, and installations! We value your time and have a considerable amount of experience in quickly fixing, installing or replacing components. Ranked as the top heating company in Cranford, NJ, Rite Rate is the expert in all makes and models of residential and commercial heaters. We can install any heater whether it’s a boiler or furnace, and we even provide 24-hour heating repair in Cranford, NJ. We offer a cost effective quote for a reliable solution. If you need a new heater or your old one replaced, we’ll help you choose from boilers to furnaces that meet your budget. If you need your hot water heater serviced, we specialize in repairing and installing tankless and tank water heaters. Rely on Rite Rate to be your go-to heating company! We have a wide range of air conditioners to cool your home or commercial building. We have a team that specializes in central air conditioning, packaged air, heat pumps, and ductless air conditioners and can advise you on the best one for your premises. We also provide affordable maintenance packages for your existing air conditioner to ensure that you never have to sweat again. Rite Rate is the most reliable air conditioning company in Cranford, NJ due to our 24/7 air conditioning repair services. 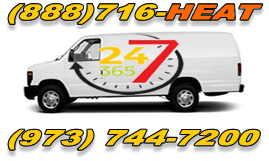 If something goes wrong with your AC and it’s not working, we’re here 24hrs a day to assist you! We can repair any make or model of commercial and residential air conditioners. At Rite Rate, we are happy to install any shower, sink, toilet, bathtub, faucet, pipe, and drain for your basement, kitchen, or bathroom plumbing! Our plumbing services are versatile for every budget and are available for residential and commercial plumbing systems. We also have dedicated plumbers available for 24/7 plumbing repair in case you have an emergency in the middle of the night. From clogs, broken pipes, to new plumbing installations, we cover it all!